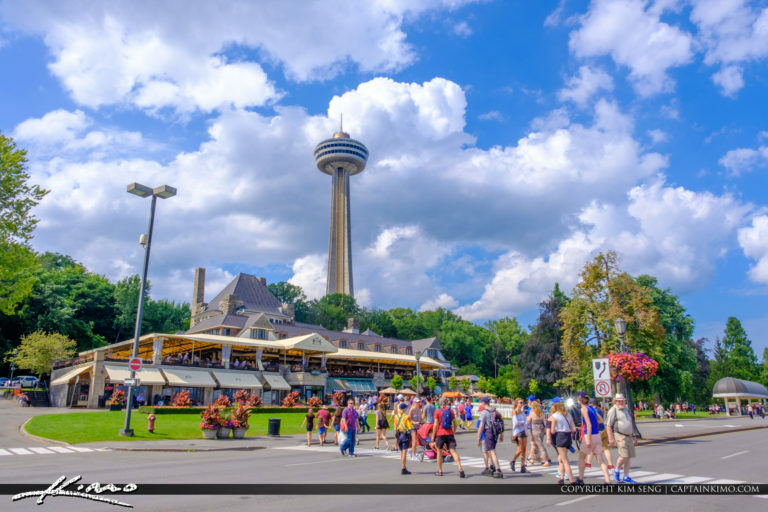 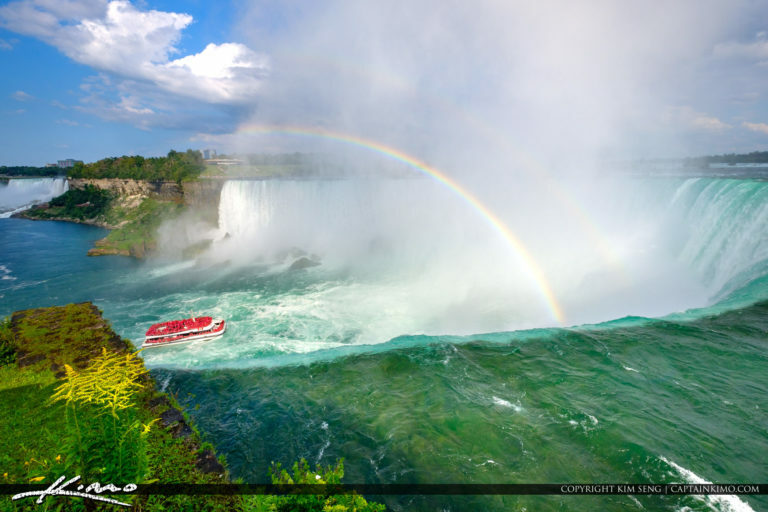 Beautiful rainbow with Canadian Red Ferry Boat at the lower waterfall from Niagara Falls Canada. 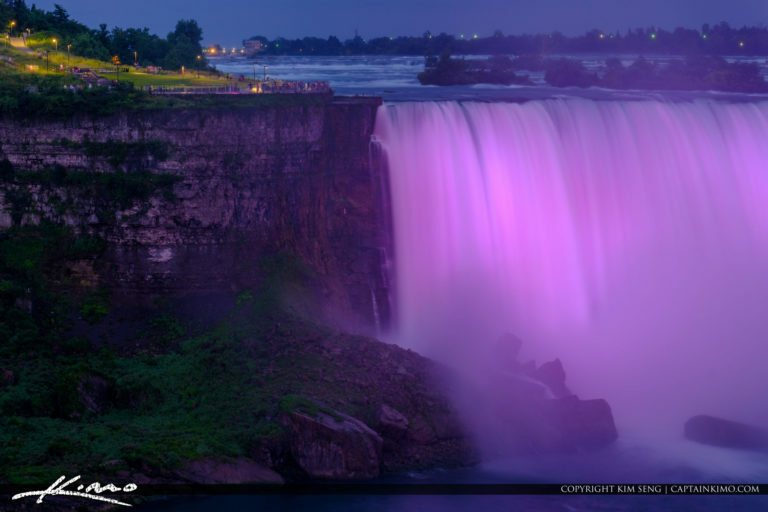 Purple colors at the waterfall in Niagara Waterfall at the US side taken from the Canadian side. 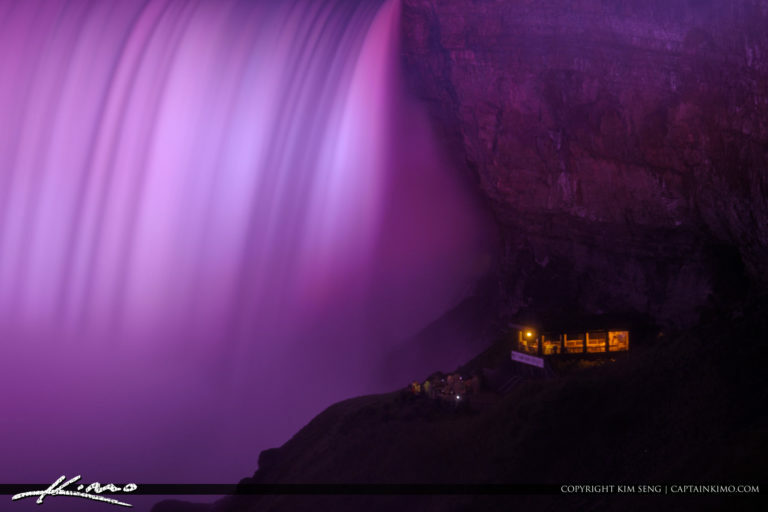 Beautiful purple colors at the waterfall in Niagara Falls Canada during the nighttime Light Show. 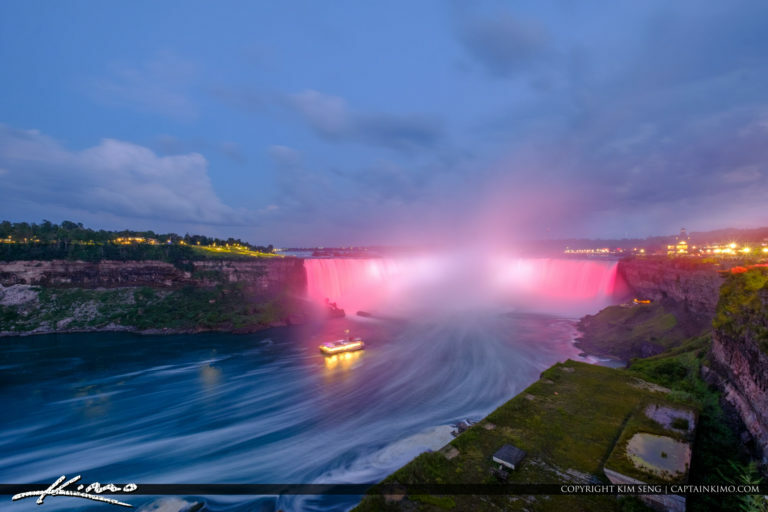 Ferry riding the up the river at Niagra Falls at night during the light show at Niagra Falls. 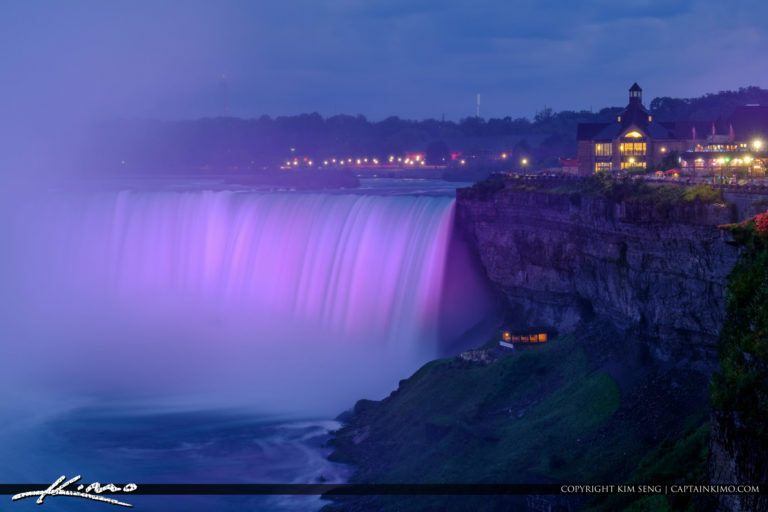 Beautiful purple lights at night during the lightshow at Niagara Falls Canada.